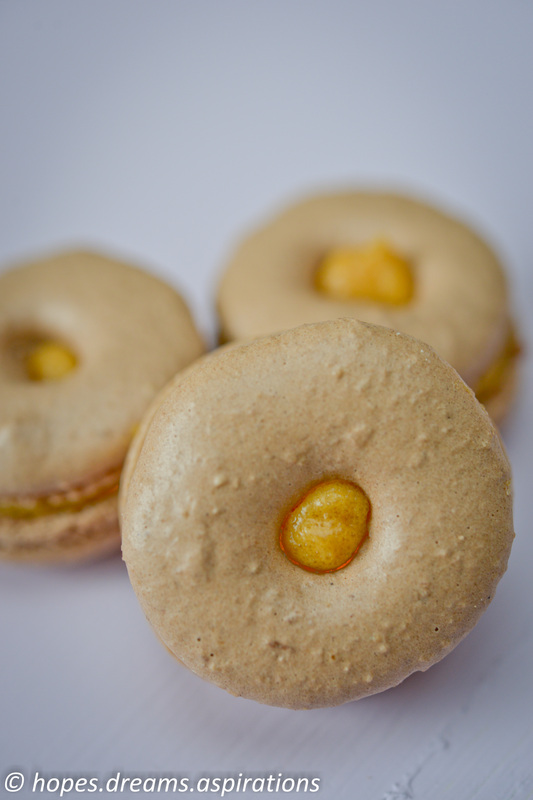 This creation is part of my macaron marathon this week and I ended up letting my piping hand loose on the baking sheet. 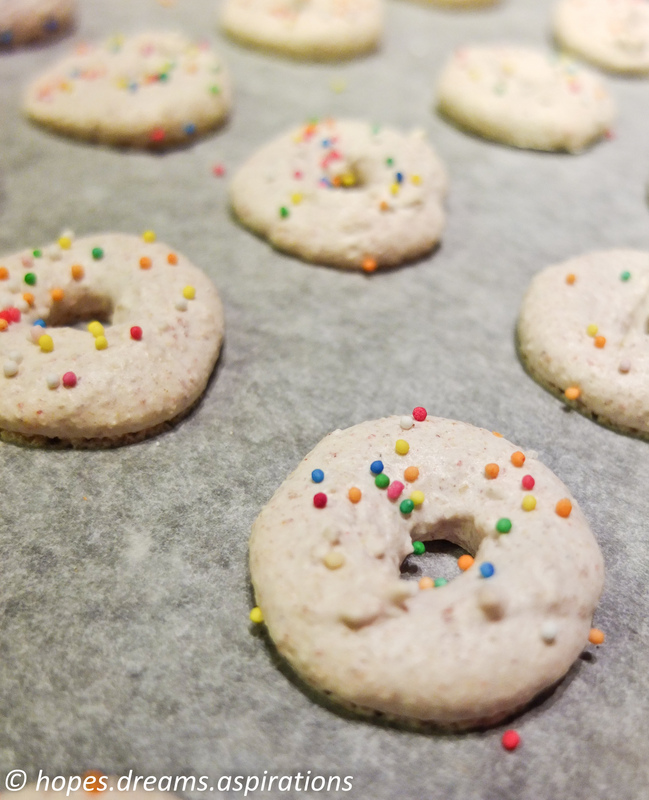 I piped hollow circles and crossed my fingers that they won’t collapse – they didn’t and I got donut macarons! 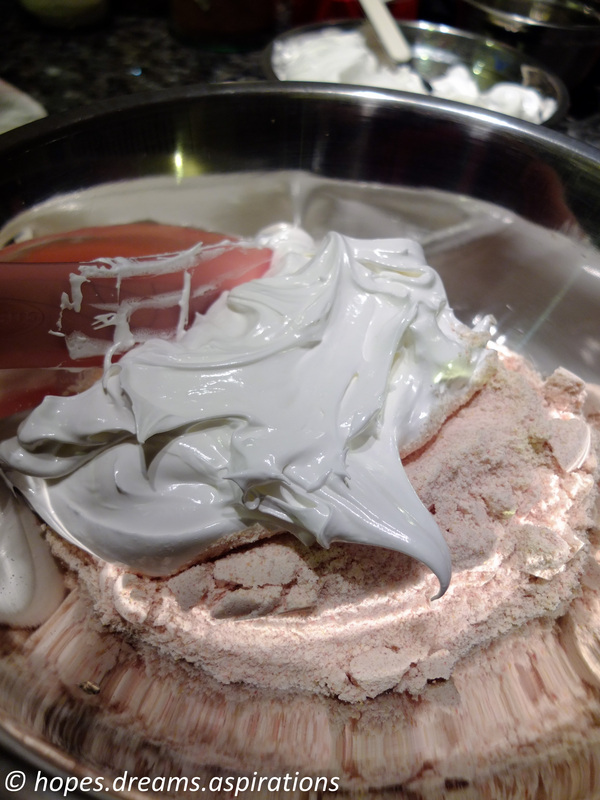 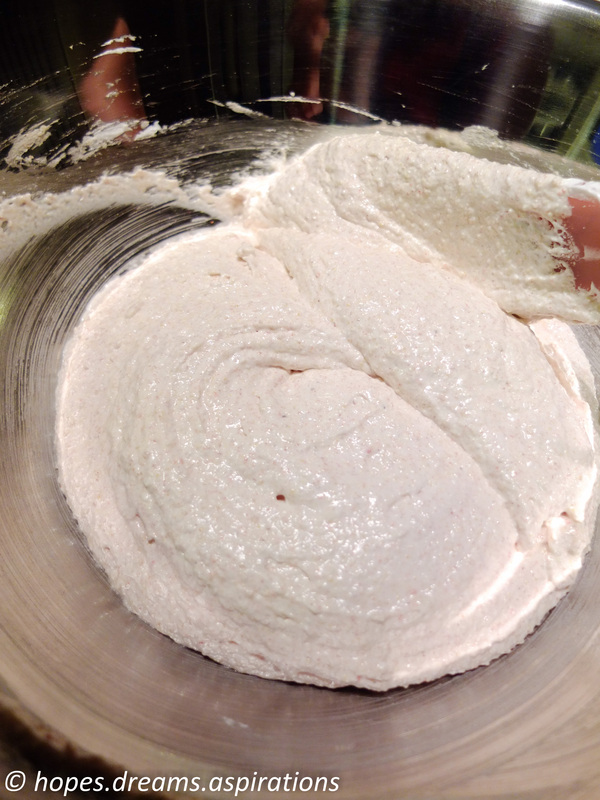 Put the first lot of egg whites into your hand or stand mixer. 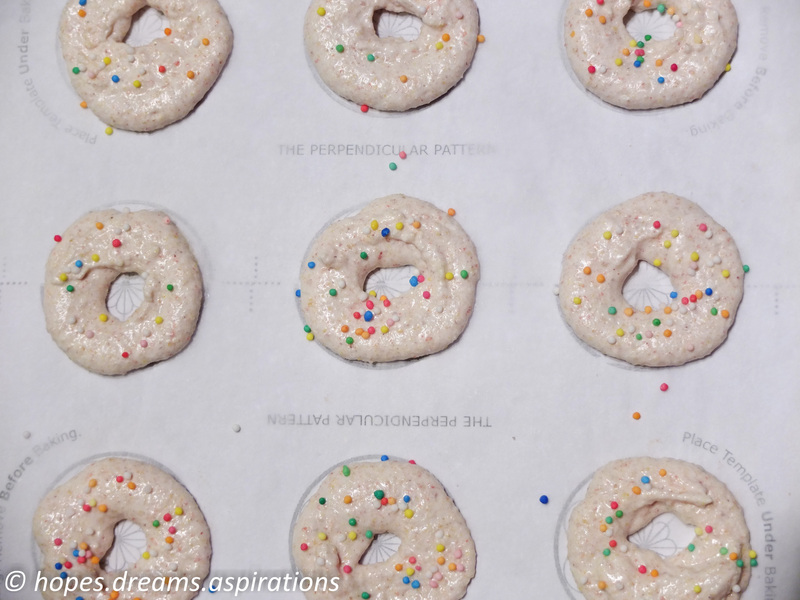 You can decorate the shells now – I placed some sprinkles onto half of the shells. 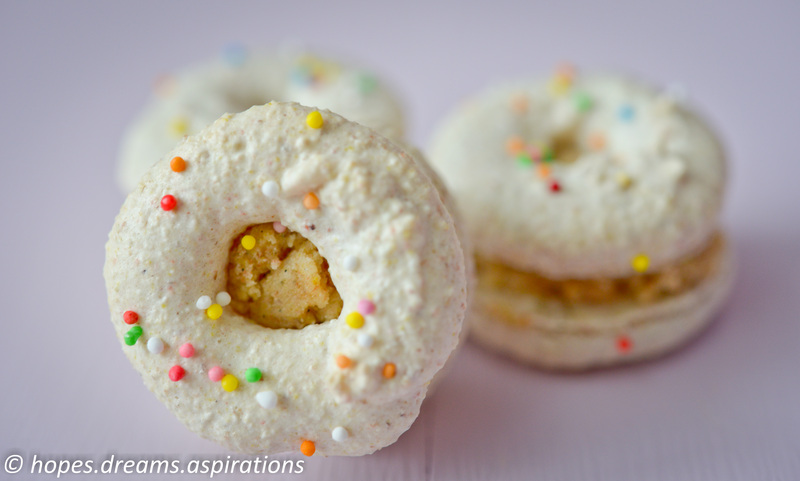 I paired half of these with a fruit loops butter cream filling and half with a salted caramel filling (see earlier post).